SIMON Enciso played at home right in his first game for Alaska. The sophomore guard accounted himself well in his debut for the Aces, a 107-79 win over Globalport to open their PBA Commissioner’s Cup campaign on a winning note Saturday night at the Astrodome. Acquired during the season break in a trade with Phoenix for RJ Jazul, Enciso played for 29 minutes and scored eight points, grabbed four rebounds, and dished out six assists. 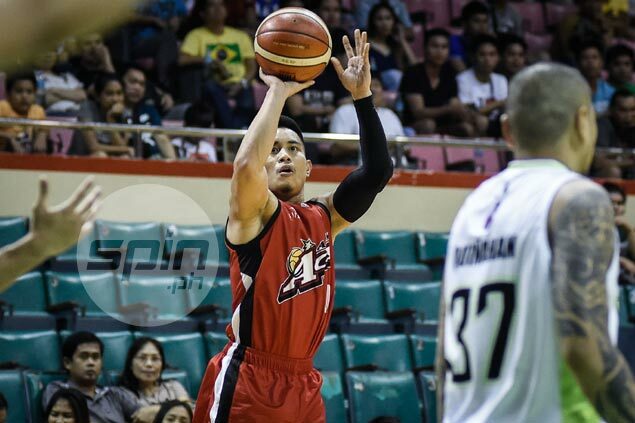 He admitted about being still in a period of adjustment with his new team, but felt that he’ll finally get into the mix after a few more games with the Aces. “It’s still an adjustment period, but I feel like if I go through enough practices, I can gain that chemistry and trust of my teammates,” said Enciso following the 28-point blowout the Aces inflicted against a Terrence Romeo-les Batang Pier. Ironically, Enciso’s former team, Phoenix, played in the first game and won over Blackwater in double overtime, 118-116. Enciso watched the game and felt weird especially seeing import Eugene Phelps torch the Elite for 53 points in his first game back in the league. And to set the record straight, Enciso said he has no ax to grind against the Fuel Masters for trading him away. “I love my teammates at Phoenix,” he said.